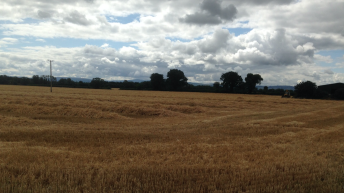 Due to falling prices, many growers may be thinking about grain storage for a number of months, Teagasc says. It says that there are several benefits to storing grain on farm, even temporarily. 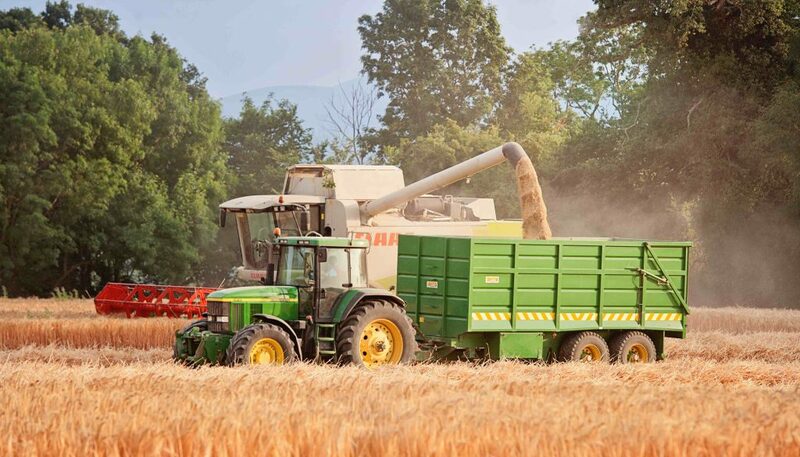 The benefits according to Teagasc are potential increased price post harvest; increased efficiency of harvesting, especially if transporting a distance to another storage facility; and, decreased fuel/labour and machinery usage due to collection of grain from the yard. However, costs such as loading, aeration and losses in the shed are factors it says that must be taken into consideration. When storing grain, aeration is a critical task to prevent spoilage and mycotoxin build-up. On floor or pedestal ventilation will work to cool relatively dry grain. For dry grain, a moderate sized pedestal will service an area of 6m x 6m, 3m from the wall and 6m from the next pedestal. Narrower spacing is recommended for moist grain. It is recommended that fans blow air through the pedestals, rather than sucking. For dried grain, a ventilation rate of 10m3/h tonne (6cfm/t) is a minimum requirement to keep the grain in good condition. 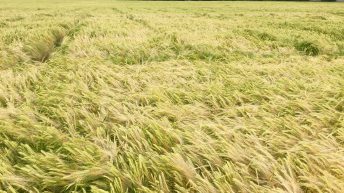 For green grain (16-20% MC), Teagasc says it requires an airflow of 35m3/h tonne (20cfm/t). This will keep the grain cool, and achieve some drying in early autumn if the weather conditions are favourable, it says. Grain naturally respires, resulting in CO2 and water so this must be removed from the heap quickly, Teagasc says. 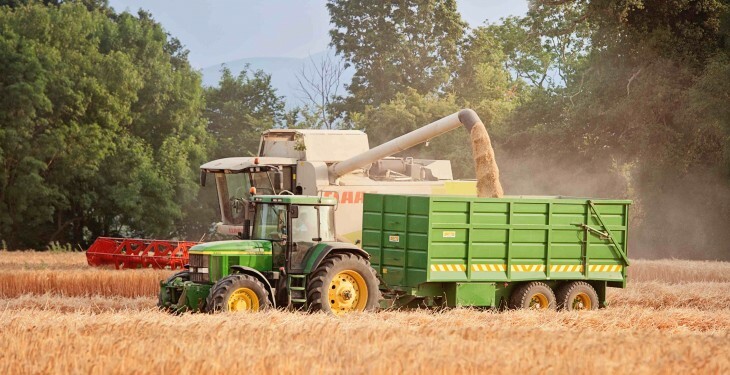 To avoid sweating or mould on top of the heap, Teagasc says that the stale air pushed from the grain stack needs to be ventilated out of the shed. Fans positioned in the gable ends of sheds are needed in most situations, it advises.